Tons Of Viruses: There is a huge library of viruses aimed at Windows XP and limited antivirus support still available. XP Is OLD: (almost 12 years old). The 1st iPod was released the same year as Windows XP. In a world where the 5th iPhone has been released, no one should be left using an O/S that pre-dates the 1st iPod! Least Secure Operating System: ALL other platforms, including Linux, all versions of Mac OS X, Windows 7 and Windows 8 are more secure than XP by a huge margin. Windows Vista is actually a far safer option (Scary!). Built For A Simpler Time: XP was created for a simpler world of technology. 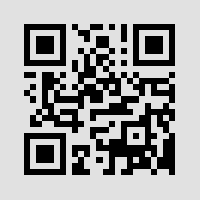 It was formatted to fit to a screen only 640 pixels wide, and it showcased IE6 as a new product. The internet was a different place when XP was developed. Smartphones were non-existent, laptops were a luxury and tablet computers were science fiction. No More Band-Aids: Only so many band-aid fixes on top of one another can be effective. Support Is Ending: All support of XP will end on April 9, 2014. It’s time to replace your systems now while you can plan ahead. Malware Everywhere: You can continue to use XP, but with more malware than ever. XP is by far the most vulnerable platform to connect to the internet. Running a business on an operating system that is 2 generations out of date after the end of support will put your company in an indefensible position from a legal perspective. The majority of US states have data protection laws in place requiring business owners operate with “due diligence”. I urge you to strongly consider upgrading your computers before the April 8th deadline. Don’t worry we are here to help! Call BEL Networks for upgrade options at 804-796-2631. "Where Can I Find An Honest, Dependable & Competent Computer Support Company that is Easy To Work With, Fixes Problems Fast, and Is Available When I Need Help?" 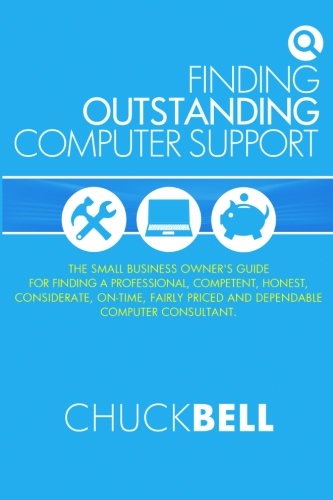 Chuck Bell, the owner of BEL Network Integration & Support, LLC, has recently published his new book, "Finding Outstanding Computer Support" which is an excellent guide for business owners to help answer these questions. Click the button below to request your free copy of Chuck's book. Send My Free Book Today! Do You Have A Mobile Device Policy for your Business? The evolution of personal mobile devices, and their increasing importance to business success these days, are forcing many small business owners to make a choice-"Bring Your Own Device" (BYOD) vs. "Corporate Owned, Personally Enabled" (COPE). According to the CDW 2012 Small Business Mobility Report, 89% of small business employees use their personal mobile devices for work. But the headache involved here is how do you support and secure all of these devices? The scary thing is that most small businesses don't even try! The CDW survey found that only 1 in 5 small businesses have deployed (or plan to deploy) any systems for managing and securing employees' personal devices. The Alternative – Is COPE any Better? A minority of small businesses has implemented a Corporate Owned, Personally Enabled ("COPE") policy instead. They buy their employees' mobile devices, secure them, and then let employees load additional personal applications that they want or need. And the employers control what types of apps can be added too. The "personally enabled" aspect of COPE allows employees to choose the company-approved device they prefer while permitting them to use it both personally and professionally. COPE is certainly more controlled and secure, but for a business with a limited budget, buying devices for everyone can add up pretty quickly. If you go the COPE route and are large enough to buy in volume, you can likely negotiate substantial discounts. If you have client information that must be kept secure or other industry specific regulations regarding the security of client data, then COPE is likely your best approach. It takes out any gray area of whose is whose. Plus, there is a certain comfort level in being able to recover, or confiscate, any device for any reason at any time to protect your company without any worries of device ownership. Which Mobile Device Policy is Right for Your Business? BEL Network Integration & Support can provide consultation services to help you decide!! We'll match up your business objectives and your specific risk tolerance with what you want to enable your employees to do and how you want them to work. We'll review your current mobile device policy to make sure you aren't missing CRITICAL "must-haves" on your list that could lead to big problems. We'll review the "Locks on the Doors" of your devices. A written policy is not enough! We'll review the critical areas of your mobile device management system too often missed by small businesses. Fun facts and random bits of knowledge: If you have 3 quarters, 4 dimes, and 4 pennies, you have $1.19. You also have the largest amount of money in coins without being able to make change for a dollar. Most businesses make the HUGE (and costly) error of mistaking a “backup” with data recovery and business continuity. Simply having a copy of your data stored somewhere does not automatically guarantee you’ll be back up and running again like you were before. The BCM Institute explains this difference by discussing three key concepts: Recovery Point Objective (RPO), Recovery Time Objective (RTO) and Maximum Tolerable Outage (MTO). In order to choose the RIGHT type of back up for your company, you need to know what these three acronyms mean. Since companies are storing more and more data on their employees and clients, most states are starting to aggressively enforce data breach and security laws that set out the responsibilities for businesses capturing and storing personal data. What do most states consider confidential or sensitive data? Definitely medical and financial records such as credit card numbers, credit scores and bank account numbers, but also addresses and phone numbers, social security numbers, birthdays and in some cases purchase history—information that almost every single company normally keeps on their clients. Who can access the confidential information you store in your business? Is this information easily accessible by everyone in your company? What is your policy about taking data out of the office on mobile devices? The more sensitive the data, the higher the level of security you need to keep on it. Are your passwords easy to crack? Is the data encrypted? Secured behind a strong firewall? If not, why? One of the biggest causes for data breaches is the human element: employees who accidentally download viruses and malware that allow hackers easy access. Do you have a data security policy? A password policy? Do you have training to help employees understand how to use e-mail and the Internet responsibly? It’s becoming more common for thieves to break into offices and steal servers, laptops and other digital devices. Additionally, paper contracts and other physical documents containing sensitive information should be locked up or scanned and encrypted. Data security is something that EVERY business is now responsible for, and not addressing this important issue has consequences that go beyond the legal aspect; it can seriously harm your reputation with clients. So be smart about this. Talk to your attorney about your legal responsibility. Review your antivirus and anti-malware systems to ensure they are working properly. This is one of the top ways that hackers can penetrate your network! There are many threats to the sustainability of smaller businesses. One of the biggest is a disaster, which can happen at any time or at any level of severity. 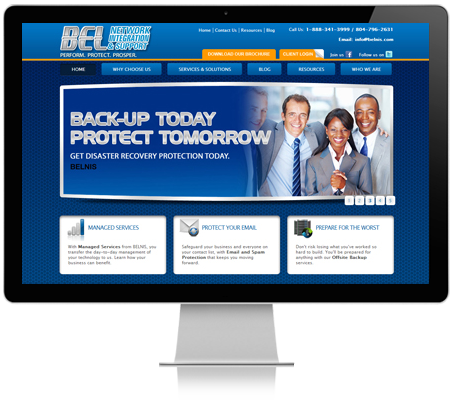 In an effort to curtail the effects of a disaster, many businesses have adopted disaster recovery plans. If you have been looking into this topic recently you may have come across the term DRaaS, but do you know what it actually is? DRaaS stands for Disaster Recovery-as-a-Service, and is a cloud based service offered by an increasing number of tech companies. The concept is similar to other cloud based services like Software-as-a-Service, where the solution is delivered and managed by an IT partner. DRaaS is a Disaster Recovery solution provided by a vendor that businesses can purchase. With most DRaaS solutions the vendor helps develop and implement a disaster recovery plan that fits the needs of the company that they will then manage to ensure that the systems are running properly. When a disaster strikes, the vendor can work with you to help get your systems back online as fast as possible. Often this is quicker than other solutions, largely because the vendor’s systems will likely not be affected by the disaster. It is for this reason that many companies are becoming increasingly interested in this form of disaster recovery solution. Many smaller businesses also seem more open to it because it’s a managed service. As these businesses likely don’t have a disaster recovery specialist on staff, finding a solution that works and is affordable can be a challenge. 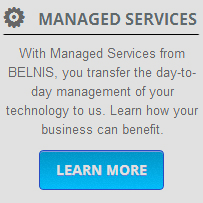 Therefore, going with a managed service like this is a big draw.